Let's get one thing straight. We will NOT be silent in the face of your dangerous gag rule. 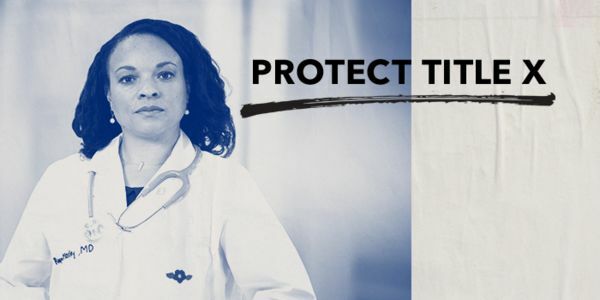 We won't back down as you target the rights and health of more than four million people who depend on Title X — our nation's program for affordable reproductive health care — for birth control, cancer screenings, and more. We will stand strong for the 1.6 million Title X patients who rely on Planned Parenthood health centers for care. And we'll raise our voices for every provider's right to give the best care and information to their patients possible — and that includes information about abortion. You want to control our bodies with your dangerous attacks on health care. Planned Parenthood will never stop being there for patients. And we'll never stop standing with Planned Parenthood.